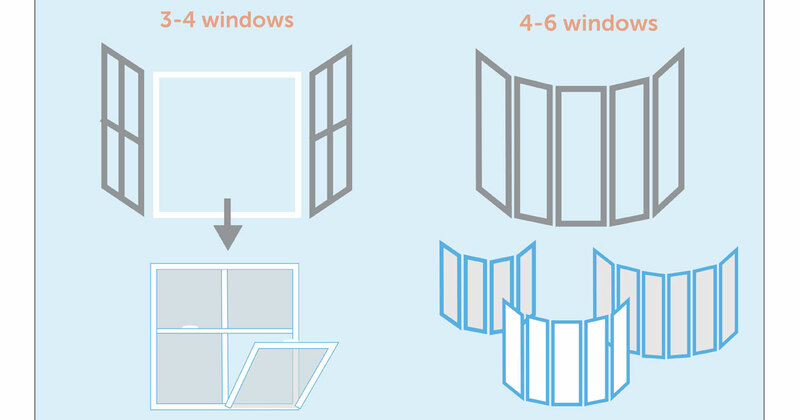 INFOGRAPHIC: Bay vs Bow Windows, What's the Difference? Are you currently shopping around for either bay or bow windows for your home? Are you confused on what separates them from apart from each other? This infographic diagram highlights key points and differences that distinguish bay and bow windows apart from each other. This guide will give you a better understanding and help clarify any confusion that you currently have.